AVAST’s high-performance server-security product, avast! 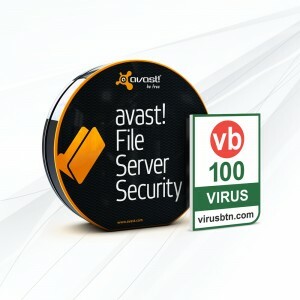 File Server Security, has received the VB100 award from Virus Bulletin. The independent testing lab’s latest AV comparative test focused on performance in Windows Server 2012. AVAST performed solidly with 100% detection rates and zero false alarms on both WildList and clean test sets consisting mainly of business tools to fit with the server environment.